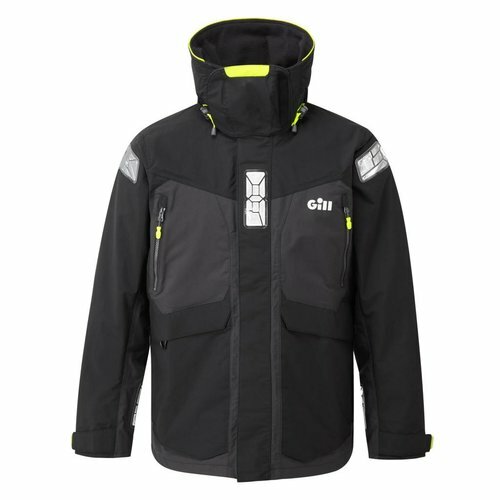 An innovative saiing jacket packed with technology designed to keep you as comfortable as possible regardless of conditions. Read more..
Order by 2pm for estimated delivery between 2-3 working days. 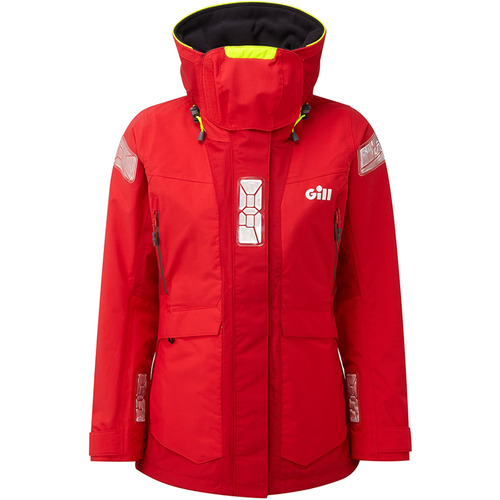 Gill's OS2 2019 Womens Jacket is perfect for a day out cruising or for a week long regatta. The jacket features a waterproof, windproof, 2-layer laminated fabric protective shell that is complete with fully taped seams. This advanced 2 layer laminated fabric has moisture-management fabric technology with a durable, water repellent outer finish. Hydrophilic technologies efficiently transport moisture away from the skin whilst keeping the wearer 100% protected from the elements. A high cut thermal collar provides warmth and full face protection, which is added to with an inner collar that has a chin guard. Keep your hands warm with deep cargo pockets that are equipped with hand warmer pockets, aswell as a handy internal security pocket to keep your valuables safe. These pockets are protected by YKK Aquaguard water resistant, anti-corrosion zips. Fully lined hi-vis hood that has a 3-way adjustment system to ensure a perfect fit. Internal fleece lined cord channel provides a secure, comfortable fit. Adjustable outer cuff with PU inner seals provide watertight comfort. Two way zipper protected by a double storm guard. Heat-formed prismastic reflectives in an exclusive Gill design. Relaxed Fit. Cut looser with more room around the body. Ideal for layering over other pieces. Main Lining: 100% Nylon Mesh. An innovative saiing jacket packed with technology designed ..
An innovative pair of sailing trousers that are packed with ..
WE'RE HIRING! A weekend sales assistant. March Deal Day 2019 - THE DEALS!